Traveling South on Route 53 towards South Fork, make a right turn onto Oak Street onto a bridge. Travel across the bridge and go to the very end of Oak Street. 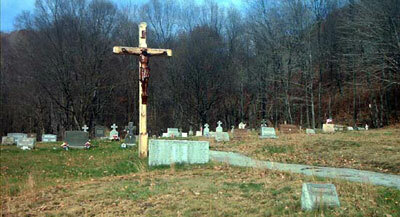 The cemetery is on your right on an unpaved road.